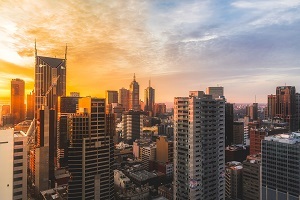 Located in South East Queensland, just north of the New South Wales border, the Gold Coast is famous for its sunny weather, opportunities for adventure and thriving nightlife. Whether you’re settling in as a local, or are planning a short trip away, we take a look at the Gold Coast’s best attractions. 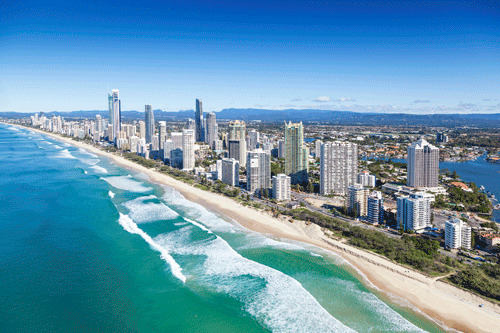 Beaches: With warm weather year-round, Gold Coast beaches see a constant stream of visitors, who flock to the white sands for a swim, surf or some time in the sun. Burleigh Heads and Currumbin are local favourites, offering opportunities for hiking and stand-up paddle boarding, while tourists cluster around busy Surfers Paradise and Kurrawa further north. Those looking for surfing hotspots can head to Snapper Rocks, Narrowneck and Greenmount, as well as Duranbah, Byron Bay and Fingal Head in northern New South Wales. Theme parks: The northern Gold Coast is a hub for theme parks and attractions, hosting Dreamworld and Warner Bros. Movie World, as well as WhiteWater World and Wet’n’Wild water parks. Also popular is Sea World, which features both rides and local sea life such as penguins, sharks and dolphins. Meanwhile, the Australian Outback Spectacular offers a dinner and show package based on Australian legends and history, with animals, stunts, aerial performances and live music. The Hinterland: The lush Hinterland region offers stunning natural scenery — with soaring rainforests, spectacular waterfalls, glow-worm caves and treetop walkways. Highlights include Tamborine Mountain, Springbrook National Park and Lamington National Park, which provide opportunities for bushwalking, wine-tasting and bird-feeding, as well as a number of popular guesthouses for visitors to stay. Wildlife: There are plenty of opportunities to get up close and personal with the native wildlife on the Gold Coast. Opened in 1947, Currumbin Wildlife Sanctuary is a Gold Coast icon — home to kangaroos, koalas, dingos, emus, crocodiles, Tasmanian devils, wombats, echidnas and the famous rainbow lorikeets. Elsewhere, many companies offer whale watching boat tours between June and November. Coolangatta Gold: The Coolangatta Gold sees Australia’s top ironmen and ironwomen compete in a challenging endurance race, which combines swimming, running, board paddling and surf skiing over a 41.8 kilometre course. With participants racing from Coolangatta to Broadbeach and back, there are opportunities to experience the event at beaches all along the coast. Supercars Castrol Gold Coast 600: One of the main features on the Gold Coast event calendar, the Supercars Castrol Gold Coast 600 brings a full weekend of racing and entertainment to Surfers Paradise. During the day, fans can watch drivers battle it out in the final event of the PIRTEK Enduro Cup, while at night, 600 Sounds hosts a number of Australia’s top bands and artists. Swell Sculpture Festival: The iconic Swell festival sees Currumbin Beach transformed into an exhibition space, with more than 60 sculptures dotted across the beach for the 10-day event. Visitors can participate in guided twilight walks and artist talks, as well as workshops and yoga classes.